This week featuring some type of machine, we didn't use to see at here at TBs . Also TLG doesn't release one of this kind, already for some time since the great 8416, in 2005. It is again one model from Nico71's long list of constructions. 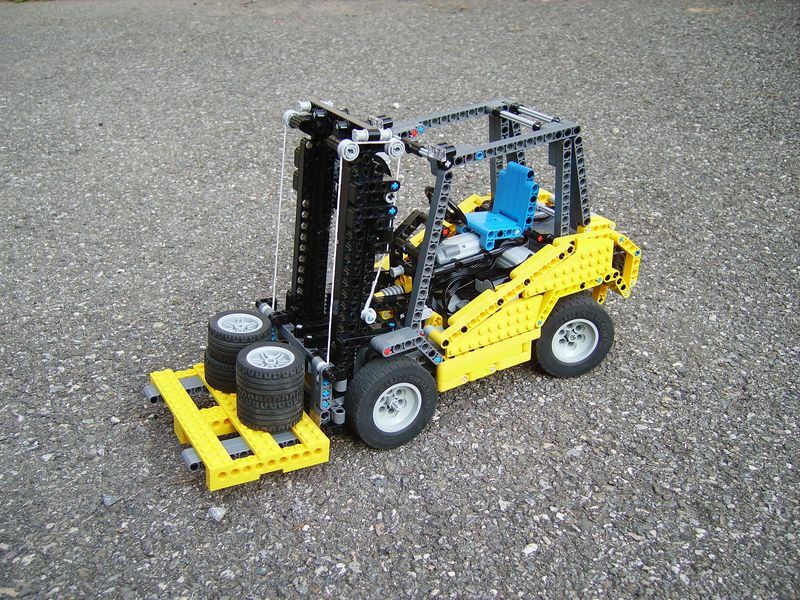 A fully remote controlled Forklift, with for PF motors. As for some other of his models, Nico provided detailed photo instructions to assist you building your own replica (Click over the picture below, to get there). You may found a lot more images from this model at Nico's BS folder, and read about this model in his own words (although in French) at Nico's page on MOCpages.